The Cape Cod region of Massachusetts is known for its scenic beaches, picturesque sunsets and booming summertime tourism industry. It’s one of the premier vacation destinations, not just in New England, but in the Northeast. The Cape Cod region is comprised of 15 towns, all of which are coastal communities. 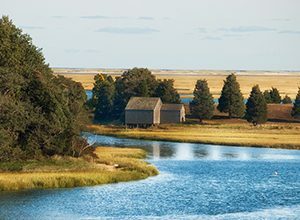 Cape Cod is divided into three sections – the Upper Cape, Mid Cape, and Outer Cape, that all offer unique benefits and charm. Over 215,000 people call Cape Cod their home – a number which increases significantly in the spring and summer months. With such a large tourism industry attracting thousands of visitors every year, the businesses and homes on the Cape are in constant need of renovation and remodeling. Since vacation homes and summer businesses typically see very large activity, there is also a need for handyman services, such as electrical, painting, plumbing and other services. Looking for a quote on a future project on Cape Cod? Request an estimate today! Fill out the form below and one of our contracting consultants will contact you soon.